Eloosapentaenoic acid (EPA) and Docosahoxaenoic acid (DHA) are Omega-3 essential fatty acids primarily found in the oil of cold water fish including salmon, Bluefish, Herring, Mackerel, Tuna, and the like. Studies indicates that they are capable of thinning blood and lowering blood fat and cholesterol levels. 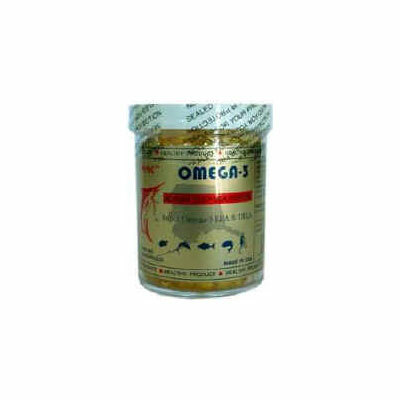 They have the therapeutic applications for heart disease, inflammatory conditions like arthritisKing Nutrition is formulated by a natural triglyceride marine lipid concentrate fortified with Lecithin, Garlic Oil, Royal Jelly providing a dietary source of Omega 3 polyunsaturates. , and psoriasis. Taken in excess, DHA can reduce blood clotting capability. It often has vitamin E oil added to prevent rancidity. They come in liquids and capsules.